Almost a year after the Reporters Committee for Freedom of the Press sent a letter urging then-Gov. Terry McAuliffe and the Virginia Department of Corrections to change the department’s policy to allow journalists to use recording devices during prison interviews, the restrictive policy remains the same. In the July letter, the Reporters Committee argued that the policy limits the public’s access to prisons, the speech of Virginia inmates and the ability of the news media to effectively report on matters of public concern. “Audio and video recording provide the most accurate and credible material for a news story and can be essential to the public’s understanding of something as complex and important as the criminal justice system,” the letter stated. In addition to the Reporters Committee, the letter was signed by representatives for the Virginia Association of Broadcasters; the Virginia Press Association; the Thomas Jefferson Center for the Protection of Free Expression; the University of Virginia School of Law First Amendment Clinic; and the Virginia Coalition for Open Government. In 2011, the corrections department’s policy did actually permit the use of on-camera interviews and recording equipment on a case-by-case basis, but that changed in 2013, according to Caitlin Vogus, a staff attorney with the Reporters Committee. With no explanation, she said, the DOC eliminated all recorded interviews within mid- to maximum-security level prisons. “We feel like with no explanation, it doesn’t make sense to change it,” Vogus said. While Vogus said the Reporters Committee has no plans to take legal action, she said public access to the state’s prisons is an important matter. She said audio and video recordings are essential for the public to learn about individual cases and prison conditions. According to the DOC’s operating procedure for offender access to the media, which was reviewed in 2016 and remained unchanged, media personnel need to make written requests for interviews with inmates. In-person interviews must be requested at least 24 hours prior to the interview and only pen and paper are permitted during the interview. “Whenever possible, telephone interviews shall be encouraged in lieu of in-person interviews,” according to the policy, which cited concerns for safety and security. The inmate also must give written consent before interviews. And for prisoners on death row, the journalist must notify the inmate’s attorney, the policy states. For prisons that have lower-level security, recorded interviews are limited to two hours and must be approved beforehand. A few days after the Reporters Committee’s letter was sent, Lisa Kinney, director of communications for the DOC, sent a reply agreeing that all inmates should be able to contact the media and be eligible for both in-person and phone interviews. But, she said, the interviews can only be conducted over the phone or with pen and paper to ensure safety and security. While the reply did not quite explain why the policy was changed, it did state that bringing cameras and other equipment creates a need for additional staff time to search and secure the reporter before they are allowed into the prison. She said the DOC’s goal is to keep inmates, staff and visitors safe and that the department is not concerned about the content of potential interviews. Kinney did not return multiple calls and emails seeking comment on why the policy was changed. 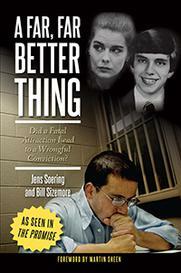 Local attorney Jeff Fogel remembers the policy change happening after a German TV crew wanted to interview Jens Soering, who was convicted of the brutal murder of a Bedford County couple in 1985. 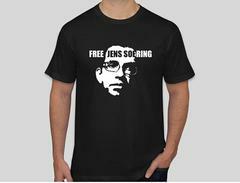 The crew was allowed to interview Soering on camera, Fogel said, but shortly after that, the policy was changed to ban cameras and recording devices. But Fogel said there’s no evidence that there is a connection between the Soering interview and the policy change. He said it’s important that reporters be allowed to show the public what happens in Virginia prisons.